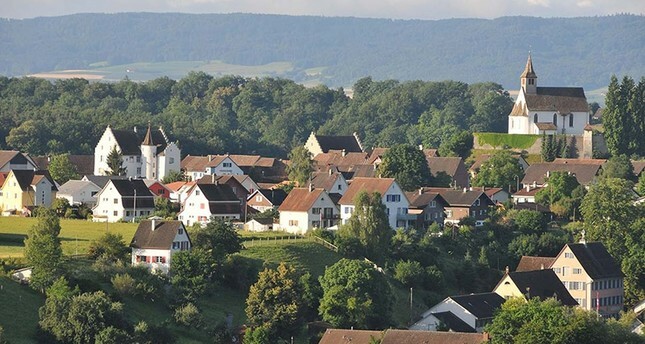 A village in northern Switzerland has decided to take part in an experiment on basic income. Some residents of Rheinau, located near the German border, will receive a monthly payout of $2,570 (2,500 francs) as part of a planned documentary by director Rebecca Panian. According to the organizer's website, 692 people signed up for the unusual project, which needed at least the half of the total 1,300 inhabitants. The organizers of the project are getting ready to raise the money needed via crowdfunding, while the applicants still need to be reviewed to ensure eligibility. The project rules that if the participants do not have an income or earn less than the basic income of $2,570, they can keep the money. Participants with a higher income than the monthly free money will, however, need to pay back the amount. The monthly basic income could also benefit families with children, as minors can also be registered even if their parents earn more than $2,570. The project foresees $642 per child, from which, however, the child allowance will be deducted. A team of scientists are expected to oversee the whole process, observing any changes in the community and in the behavior of the participants. The study seeks to thoroughly examine the effect of a basic income on families, purchasing power and the entire life of a village. A proposal for a nationwide basic income in Switzerland was widely discussed two years ago and failed to pass in a national vote. A similar project was previously introduced in Finland to explore the advantages of a universal basic income, while it is also currently being discussed in Italy.